Hernia repair is one of the most common surgeries performed by the general surgeons. Hernias occur in people of all age groups, from infants to adults and seniors. 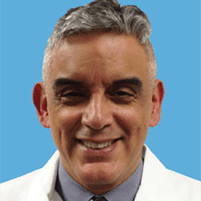 Dr. Rolando H. Saenz and his team at San Lucas Surgical Associates in Downtown, San Antonio, Texas, have extensive experience in repairing all types of hernias in adolescents, men and women. Dr. Saenz uses the latest cutting-edge technology, including minimally invasive laparoscopy and robotic surgery, to achieve surgical precision with minimal discomfort and quick patient recovery. To learn more about the various surgical options offered, call to schedule an appointment today. This is the most common type of hernia and happens in about 2% of men in the United States. It is also called as a groin hernia and occurs when parts of your intestine or bladder push through the inguinal canal and into the scrotum. Incisional hernia occurs through a weak scar from a previous abdominal surgery. Here again, parts of intestines make their way through the weak abdominal muscles. A ventral hernia is a hernia that occurs along a weakness within the muscle walls of your abdomen. Umbilical hernia is a commonly seen in newborns and accounts for 10% to 30% of all hernias. It is present at birth, and while small ones close gradually by 2 years of age, larger ones usually require surgery. How is a hernia repaired? Except for small umbilical hernias in newborns, most hernias do not close by themselves and require surgery. If the blood supply to the body part that pushes through the weakened wall gets cut off, you have to undergo an emergency surgery. In this minimally invasive procedure, Dr. Saenz makes a few tiny incisions to insert a thin tube with a camera attached to it. He then locates the site of the hernia, gently pushes the protruding organ back to where it belongs and closes the gap with the help of a mesh. In this type of surgery, small robotic arms perform the operation. Your doctor controls each movement of the robotic arm through a console, guided by a magnified view of the surgical field via a powerful camera. This less invasive approach increases surgical precision and speeds up recovery. Open surgery is the traditional method of hernia repair and requires a bigger incision than laparoscopy or robotic surgery. To know more about hernia repair, call San Lucas Surgical Associates to book an appointment.